Every spring, the 6th graders take their first big, away-from-home school trip. 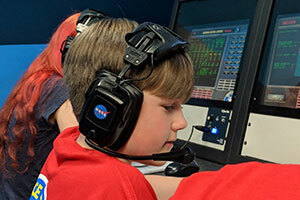 The three-day excursion includes an overnight "Sleep in the Deep" at the Tennessee Aquarium in Chattanooga, an outdoor petroglyph-viewing hike at Russell Cove National Monument, and a two-night stay at the US Space and Rocket Center in Huntsville, AL, participating in the Space Camp Pathfinder program. 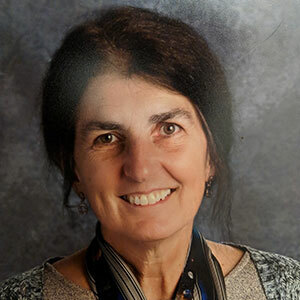 Each of these activities offers a hands-on opportunity for students to experience their past two-year's curriculum through hands-on activities rather than classroom study. The students are challenged in ways they never imagined, and they return home feeling triumphant and excited. On the way to Huntsville, students enjoy a day at the Tennessee Aquarium in Chattanooga, Tennessee. This trip is a tremendous bonding and growing experience for our kids. Foundation support helps to make it all possible. 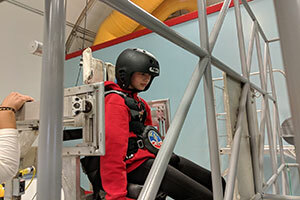 Train like an astronaut on the 1/6the Gravity Chair, the Five Degrees of Freedom Simulator, and the Multi-Axis Trainer. 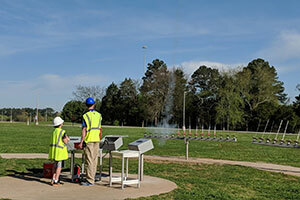 Construct and launch a model rocket! Learn what it's like to live onboard the International Space Station. Discover the newest rocket that will carry NASA astronauts to Mars. Use technology to design and construct a futuristic Martian colony! 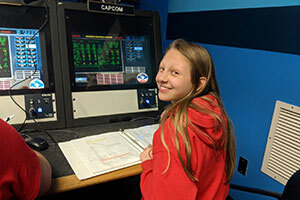 Launch on simulated missions to the International Space Station and beyond! Develop team-building and communication skills in an aquatic activity. Compete in camp-wide Challenge nights! 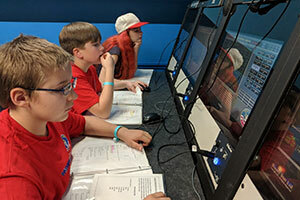 Led by their teacher, Jennifer McKee, and generously funded by independent donors, the Foundation, and Snowbird Community, 6th-grade students travel for a week to Huntsville, Alabama where they are immersed in astronaut training techniques using equipment adapted from NASA's astronaut program. 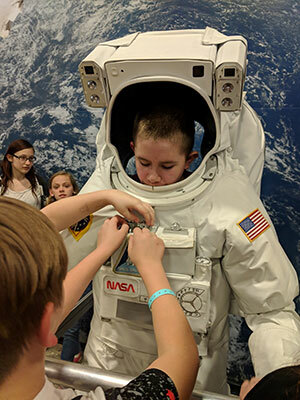 They learn about space hardware, enjoy an educational water activity and experience a spaceflight mission while learning about aerospace career opportunities.